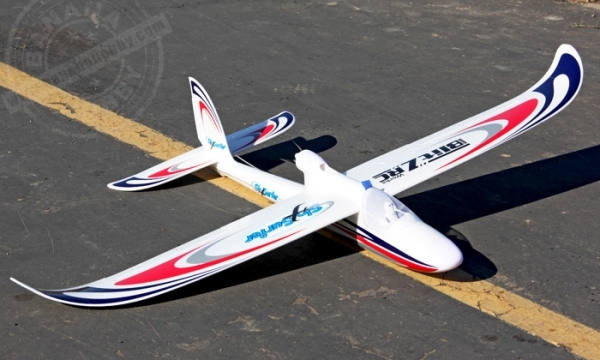 BlitzRCworks Sky Surfer V5 Flight Review in HD! Excellent for beginners and pilots of all skill levels. No previous experience necessary. Flight simulator or experienced pilot supervision recommended for beginner pilots. Minimal airplane assembly required. Less than 1 hour to begin flying (excluding battery charging time). Please dry fit and test all electronics before gluing components and assembly. This packaging option indicates what comes included and does not mean a completely assembled item. Most on-board electronic components are pre-assembled out of the box though some assembly is still required. This packaging option includes a radio system, Battery and charger, unless noted otherwise.